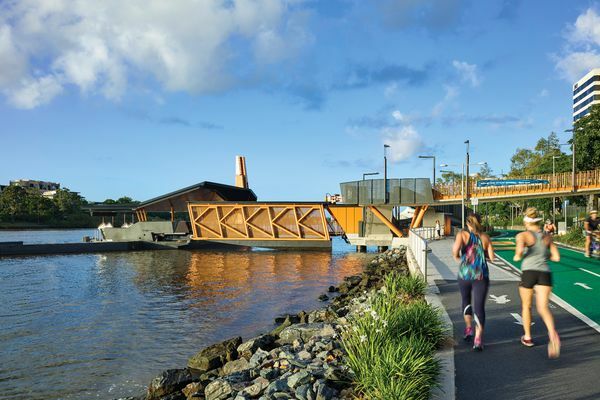 Lat27 has stitched eight ferry terminals to their Brisbane River sites in a generous, flood-resilient scheme that elevates the public transit experience. The terminals were redesigned by Cox Architecture and Aurecon after being destroyed during devastating floods in 2011. 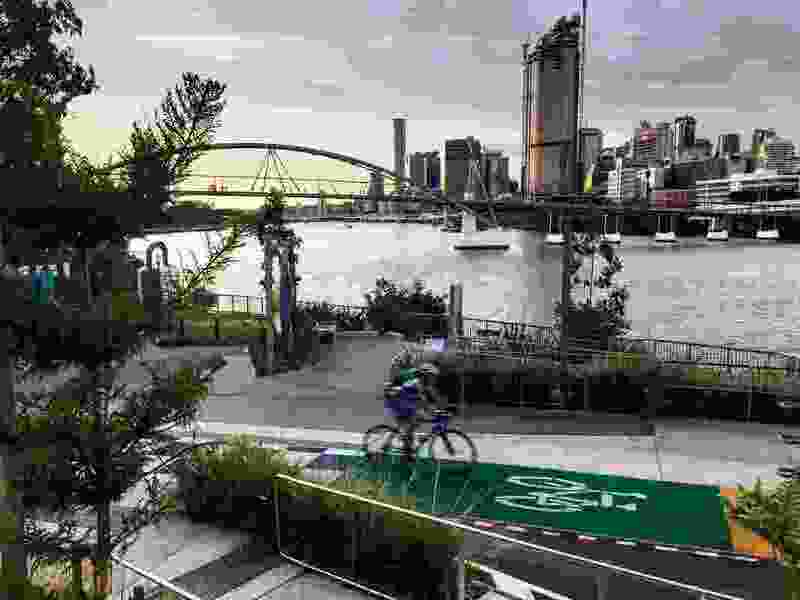 Access to and from the ferry terminals is enhanced by clear crossing points and visual clues along the riverside bike path, to minimize conflict between ferry passengers and cyclists. When devastating floods hit Brisbane in 2011 a significant amount of infrastructure was destroyed, prompting the Queensland Government to hold a design competition for the replacement of damaged ferry terminals. 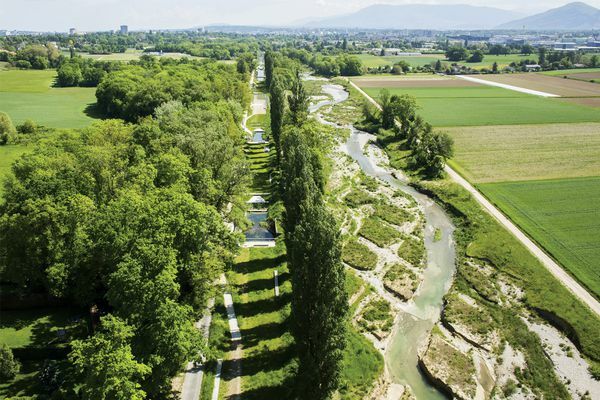 While the project was initially about simply replacing infrastructure, it also provided an opportunity to achieve greater flood resilience, improved accessibility, compliance with disability standards, increased network efficiency and an enhanced connection with the river. Aurecon and Cox Rayner Architects (now Cox Architecture) won the design competition for the Brisbane ferry terminals renewal project (the winning consortium originally also included Derlot), and completed eight new terminals from 2011 to 2016. 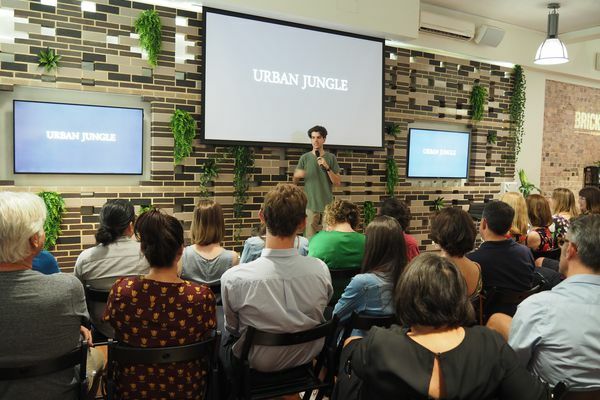 Lat27 collaborated on the landscape architecture and public realm design, with Brisbane City Council as the client for these components. Delivering such diverse outcomes across varied and challenging sites while maintaining a consistent design language required a collaborative approach and involved multiple stakeholders. The result is a more resilient network showcasing impressive technical innovation and a considered knitting together of the terminal infrastructure and the various landscape settings. 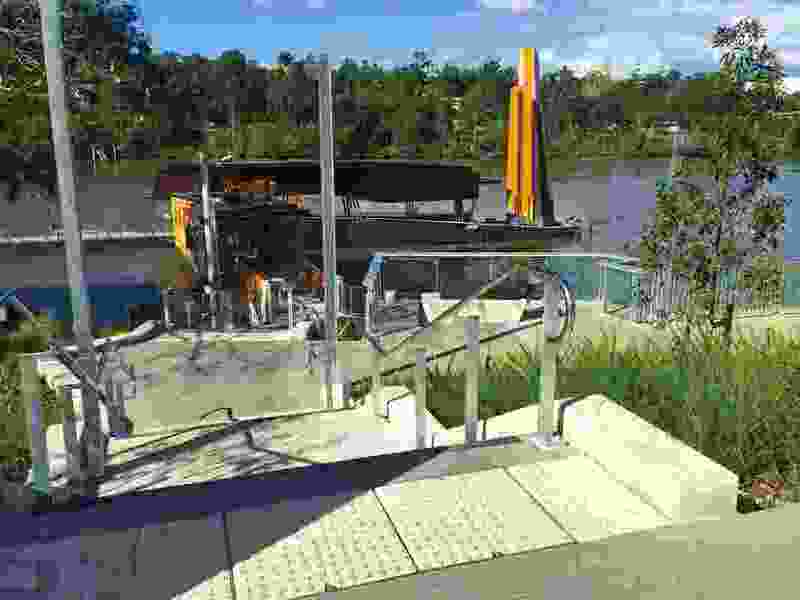 At the University of Queensland ferry wharf, the access path is aligned with tree and river views and integrates pause points to overcome monotony on the lengthy ramp journey. Brisbane, the “River City,” is built on a floodplain and has experienced repeated flooding throughout its history, so designing the replacement ferry terminals to be more flood-resilient was a priority. 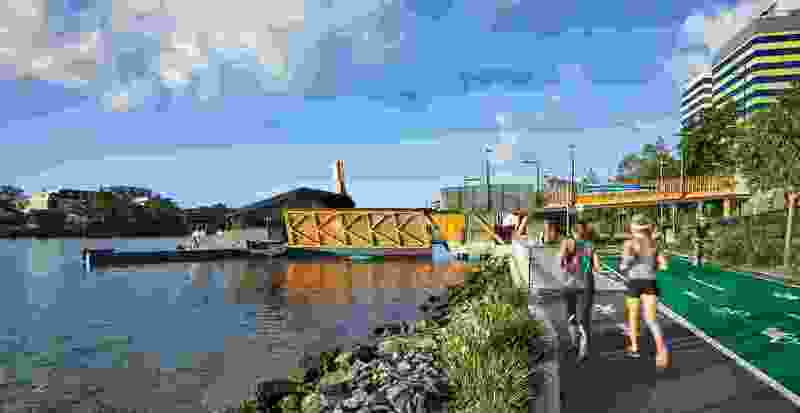 Apart from being able to withstand a one-in-five-hundred-year flood event, the design for the new ferry terminals also needed to accommodate the river’s tidal range of two metres and be adapted to the different sites. Technical innovation incorporated into the design specifically addresses all these issues. 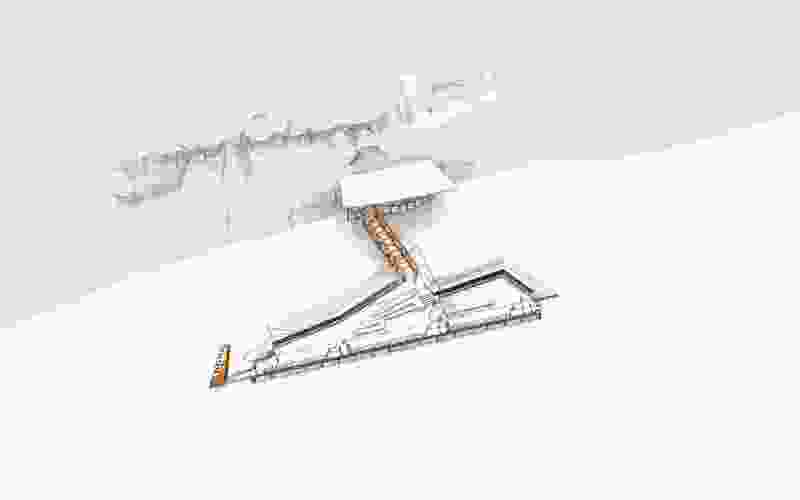 When the river rises to a critical point during a flood, the gangway will automatically detach from the pier and swing alongside the pontoon to minimize damage caused by floating debris. The pontoon’s hull-shaped base ensures that the floodwater is not impeded. A single pile is connected to the pontoon and allows it to rise without floating away, and together the pile and pontoon are robust enough to withstand the impact of large floating objects. Removing the need for multiple piles allowed the pontoon structure to be opened up to river views and to incorporate improved accessibility features such as ramps, seating and braille journey maps. Integrating the terminal infrastructure with the landscape setting and urban context presented considerable challenges, including navigating the level change from the bank down to the river (an issue at all the terminal sites). 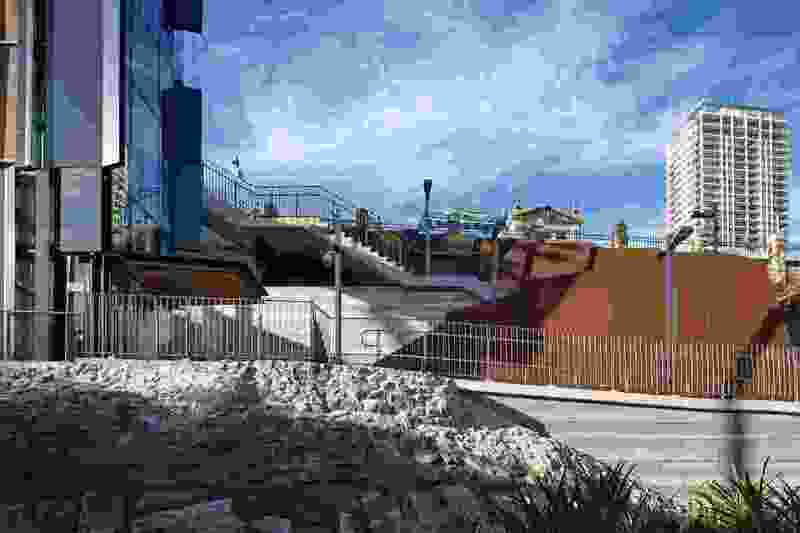 North Quay, the main CBD ferry terminal, is located at the base of a steep slope below the Riverside Expressway that was difficult to access. Nathalie Ward, landscape architect and director of Lat27, says the “series of casual paths and stairs built over time … wasn’t a truly accessible route, particularly not for people with mobility issues.” Improving accessibility involved introducing ramps that could overcome the level changes and situating a lift above the flood zone. 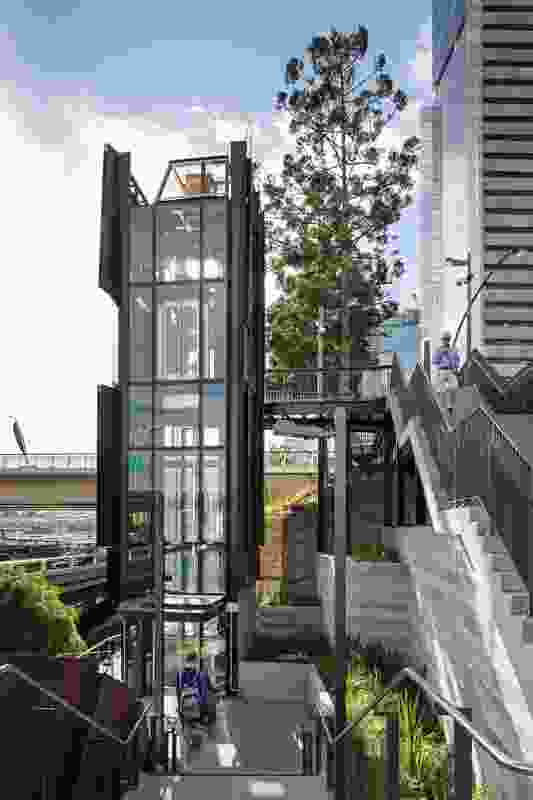 By retaining two existing pine trees next to the lift, Lat27 created strong visual markers at street level to help visitors navigate their way to the ferry. Access to and from the ferry terminal is also enhanced by clear crossing points and visual clues along the riverside bike path, to minimize conflict between ferry passengers and cyclists. Improving accessibility at the University of Queensland (UQ) and Queensland University of Technology (QUT) sites involved relocating the ferry terminals. 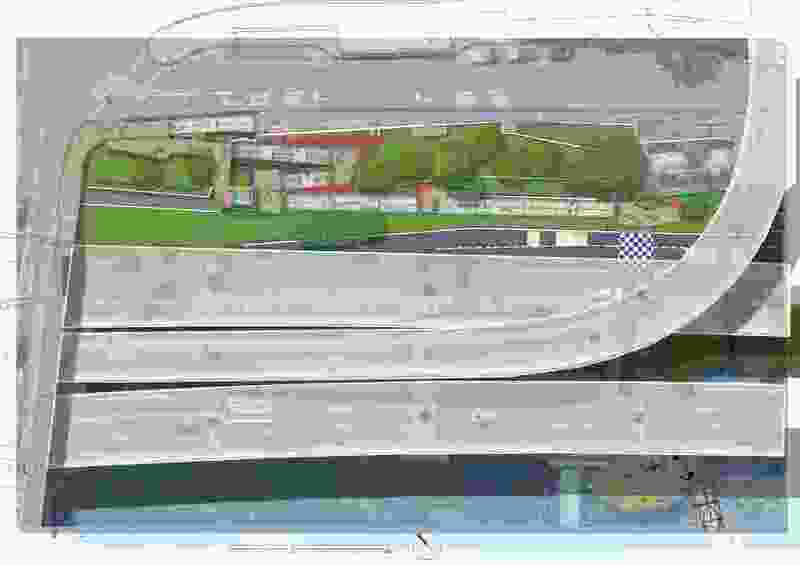 “The engineers were looking at positioning the terminals in relation to the flows and depth of the river … but we then had to meet in the middle with respect to how we could get people down to these locations,” says Ward. To overcome the hurdle of a lengthy ramp journey at the UQ terminal, the path is aligned with views to large existing trees and integrates pause points that take advantage of river views. At the QUT campus, the main accessibility challenge was creating a direct connection to the river underneath the Riverside Expressway. 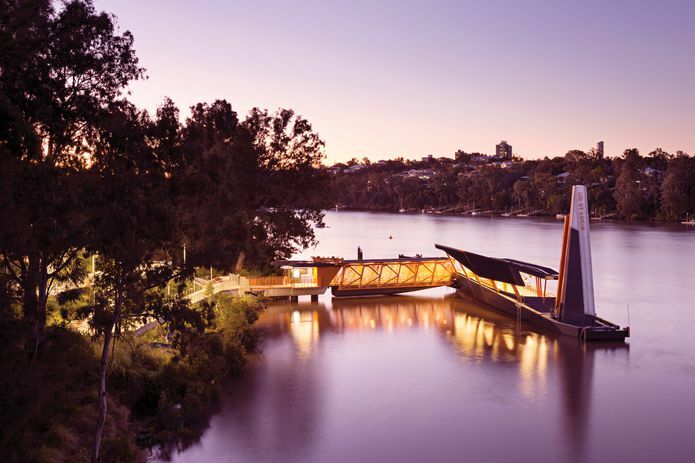 The project coincided with the development of a QUT masterplan, so Lat27 worked with the architects to incorporate a clearer visual pathway that provides access to the river and new ferry terminal. The designers adopted a lighter touch when integrating the terminals with the landscape at sites located in inner-city residential settings. This involved maintaining the existing fabric as much as possible, “just minor insertions to improve access,” says Ward. Few changes were made to the Sydney Street terminal in New Farm, apart from raising the landing point to ensure accessibility during extremely high tides. At the Holman Street terminal directly opposite the CBD, considerable effort was invested in retaining the heritage-listed waiting shed, with works completed to improve accessibility and increase capacity. 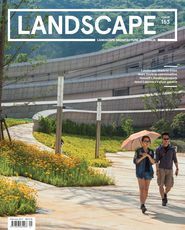 To help create design continuity across so many different sites, Lat27 continued the architecture’s distinctive geometry in the landscape elements. Selecting a suitable planting palette and hard materials also contributed to design continuity and to overcoming the difficulties of working at the river’s edge. 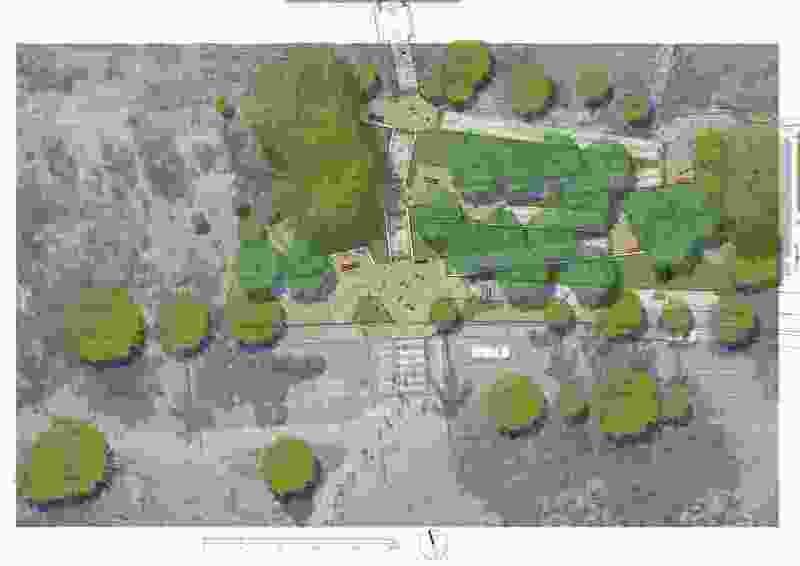 Existing trees have been retained where possible and the planting palette includes native riparian species able to cope with occasional flood conditions, such as Waterhousea floribunda (weeping lilly pilly), Lophostemon confertus (Queensland brush box), Araucaria cunninghamii (hoop pine), Proiphys cunninghamii (Brisbane lily) and Crinum pedunculatum (swamp lily). The hard materials, river gravels and concrete, were selected to provide the durability required during flood conditions and high tides and as part of the public realm. 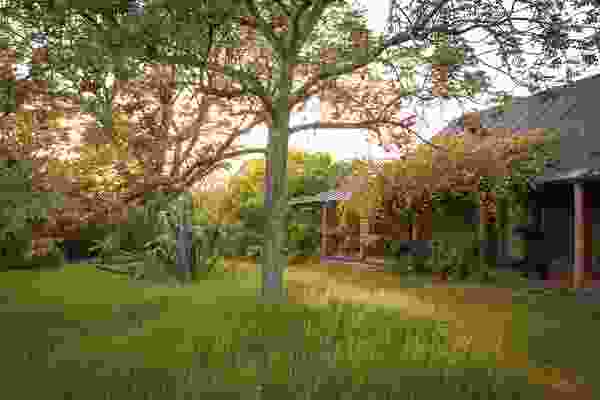 Araucaria cunninghamii (hoop pine), Delonix regia (poinciana), Grevillea robusta (silky oak), Lophostemon confertus (Queensland brush box), Melaleuca leucadendron (paperbark), Melaleuca quinquenervia (broad-leaved paperbark), Tristaniopsis laurina (water gum), Waterhousea floribunda (weeping lilly pilly). Crinum pedunculatum (swamp lily), Dianella brevipedunculata (blue flax-lily), Doryanthes palmeri (spear lily), Ficus pumila (creeping fig), Lomandra hystrix (green mat-rush), Lomandra longifolia (spiky-head mat-rush), Myoporum ellipticum (coastal myoporum), Myoporum parvifolium (creeping myoporum), Pennisetum alopecuroides (swamp foxtail), Proiphys cunninghamii (Brisbane lily). 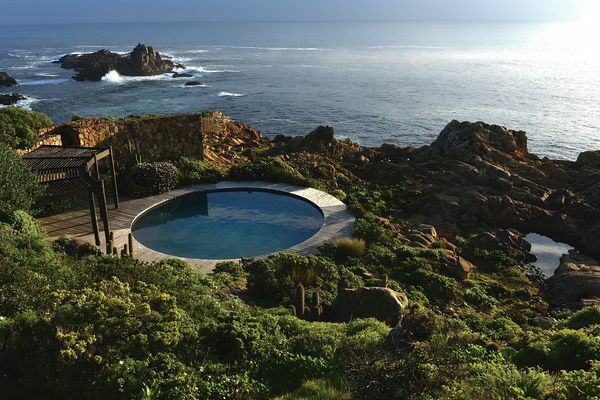 Images: Christopher Frederick Jones, Courtesy Lat27., Courtesy of Cox Architecture., Lat27. The location of the North Quay ferry wharf was relocated to improve accessibility, enabling a more direct connection to Victoria Bridge and Queen Street buses. River gravels and concrete provide the necessary durability to withstand flood conditions and high tides. Lat27 continued the architecture’s distinctive geometry in the landscape elements. Pictured here is the Maritime Museum ferry wharf. The planting palette includes native riparian species able to cope with occasional flood conditions. 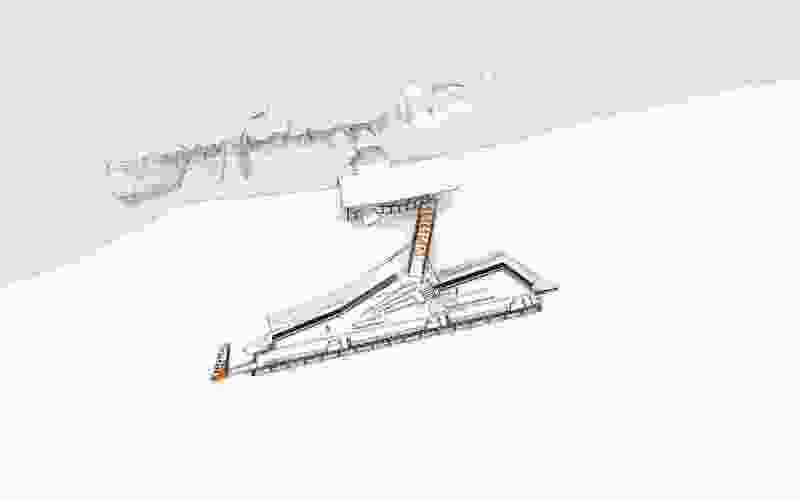 North Quay Ferry Wharf site plan. 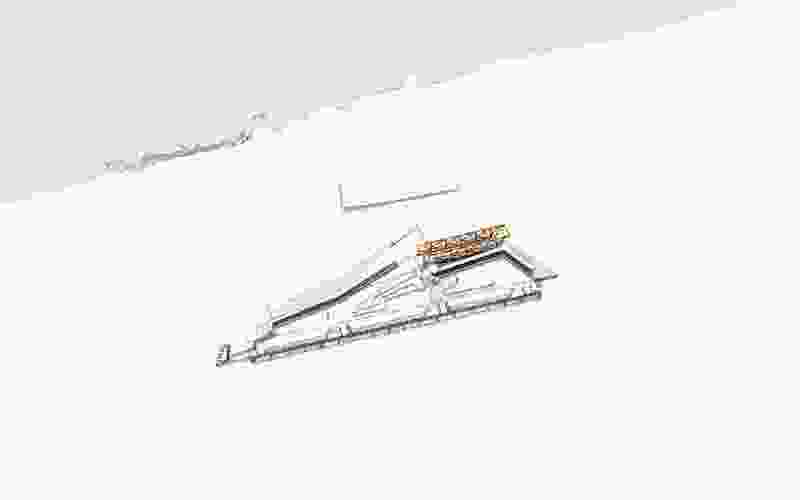 University of Queensland Ferry Wharf site plan. Ferry terminal at low level flood. Image: Courtesy of Cox Architecture. Ferry terminal at mid level flood. Ferry terminal at high level flood.